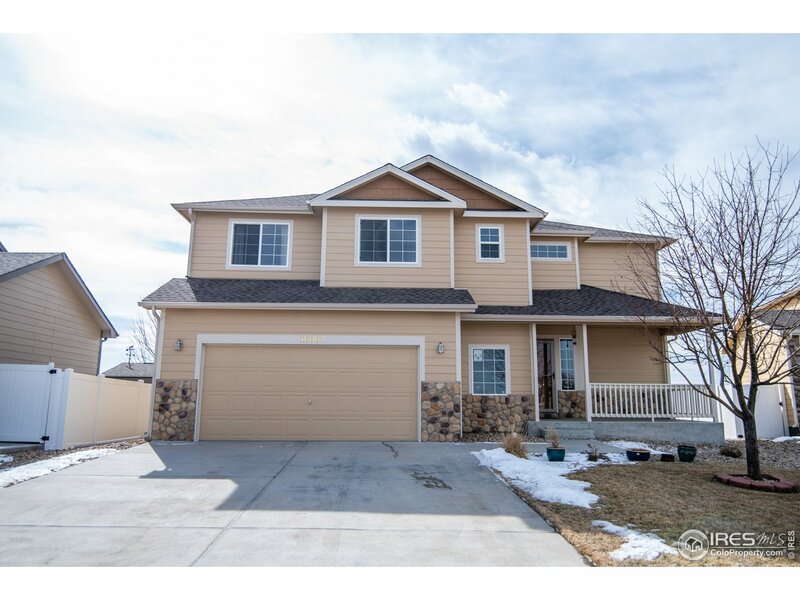 All Mead homes currently listed for sale in Mead as of 04/25/2019 are shown below. You can change the search criteria at any time by pressing the 'Change Search' button below. 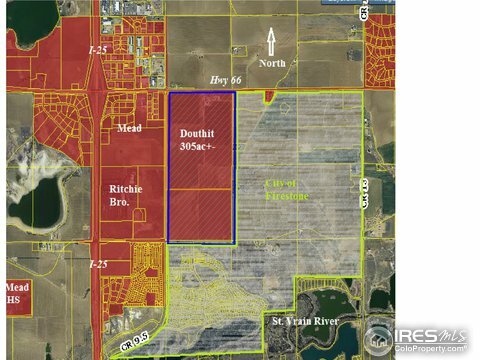 "Farm is annexed into Mead, sewer and water on west and south side. Significant amount of water rights which can be incorporated into development, investment, or farming operation. Master Planned community (Barefoot Lakes (4 Large Home Builders)under construction and adjoins to south and east; existing commercial and industrial to west, roads on each side of subject property. Popular Mead Schools; placed into Metro District, significant potential with Metro District (taxing O&G wells)"
"Quiet cul-de-sac w/mature trees. 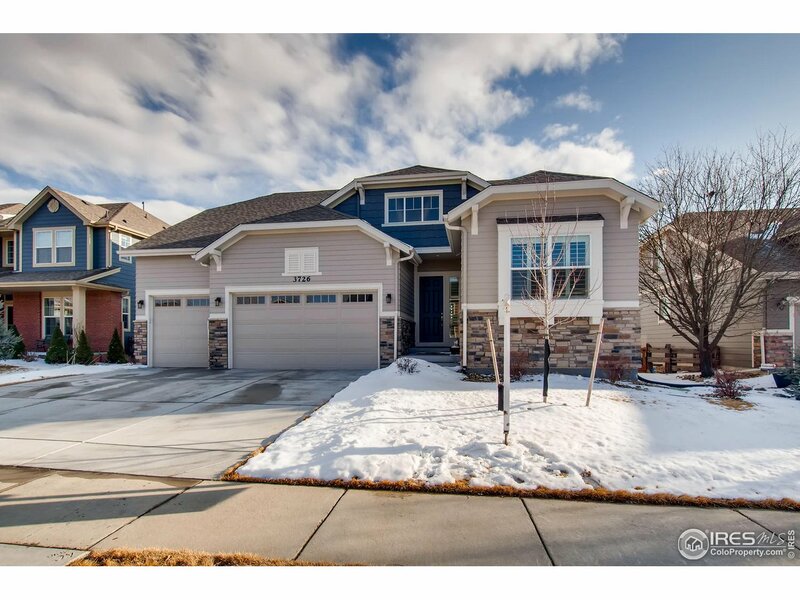 4 lg bedrms w/en-suites & walk-ins, lg den w/built-ins, formal dining, loft, 2nd floor ldry, fitness rm (non-conform 5th bed), 4 car garage, safe room. Master w/mtn views, fp, 5 pcs marble en-suite hot air jet tub, walk-in closet. Stunning hardwoods, coffered ceilings, built-ins, custom lighting control, speaker sys, custom window cover. Lg open kitchen, huge walk-in pantry w/freezer, butler pantry. Wrap around deck w/stunning lake & mtn views"
"GREAT SETUP FOR INLAWS OR NANNY. TWO RANCH-STYLE HOMES IN ONE: each level has its' own garage plus completely separate kitchen, baths, bedrooms, living area. Each bedroom has its own private bath. LARGEST LOT AVAILABLE IN VALE VIEW (9.34 acres):has irrigation water at a cost of only $500/year for the many trees, bushes and orchard. Back pasture area has produced hay each year. Ask agent for data sheet in Documents." 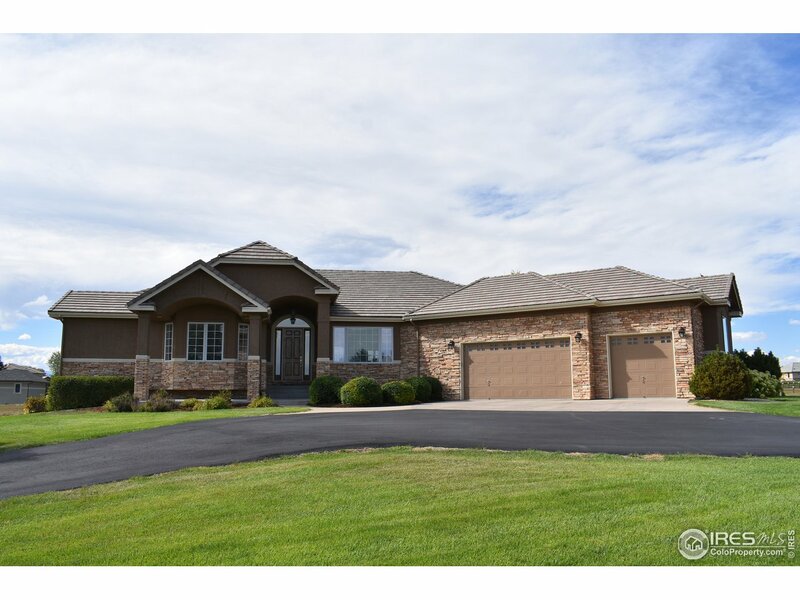 "Vale View ranch style 4 bed/4 bath w/finished walkout basement on 3.89 acres. Lots of updates throughout. Fully remodeled master bath w/heated tile floors, all hardwood floors re-finished, new carpet throughout, new interior and exterior paint, all canned lights now LEDs, new laminate wood floors in rec room. Great mountain views from back deck/patio. Outdoor basketball court. Irrigation water included in HOA. Horses are allowed on this lot. Seller is a licensed CO RE Broker." "Country living w/lake access close to town! 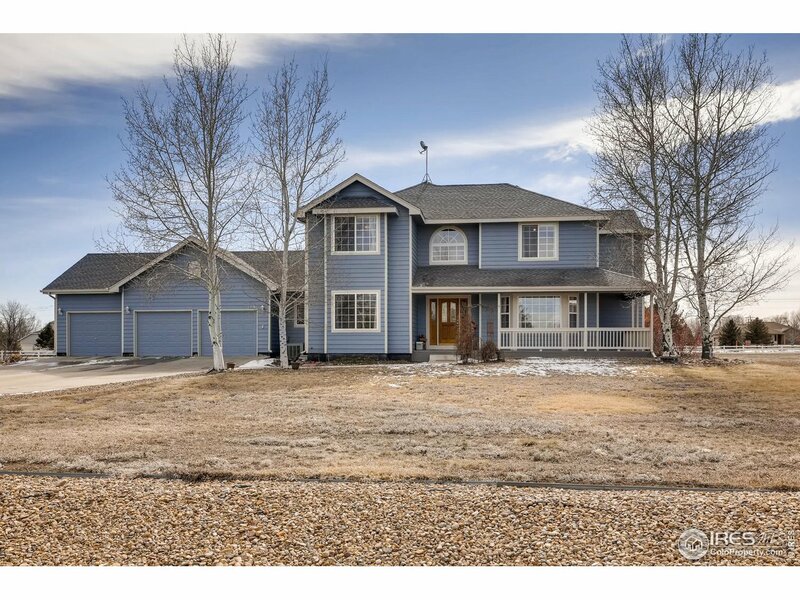 Spread out in this updated 5 bed 4 bath home situated on a quiet cul-de-sac w/a 3 car OS garage on 1.75 acres & RV parking. Pamper yourself in the newly remodeled master suite bathroom w/heated tile floors & new luxurious jetted tub. Entertain in the open kitchen w/new slab granite & SS appliances, & invite your guests out to the sprawling new composite deck w/gas hookup & new retractable awning. New roof, new paint inside & out, & new carpet." "Welcome Home! 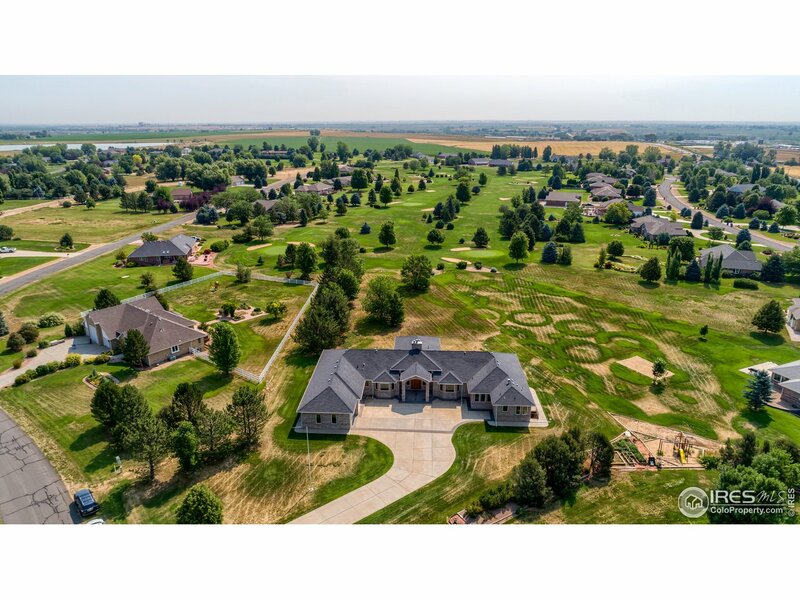 Located on over an acre in the desirable Grand View Estates Golf Course Community. Located on the outskirts of Mead just a few blocks North of Firestone. Unique features can be found throughout including several bay windows that let in the light & an antique claw foot tub. Golf to your hearts content on the 9 hole golf course included with the HOA. Newer Roof and 1 year home warranty. Have your own peace of mind to come home to every night!" "Must see! 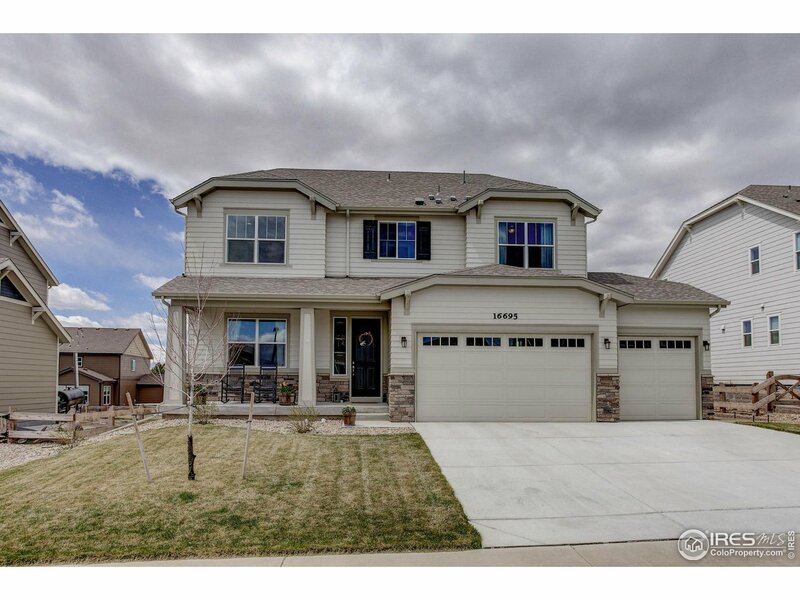 A fantastic ranch floor plan with walkout basement backing to Open Space in Coyote Run. Everything you need is here. Main floor boasts 3bdr (or 2 bdr w study), 2 ba and large open floor plan w lots of natural light. Fully finished walkout basement with 2bdrs & bath. Oversized 3 car garage, storage shed and tiered gardens. Entertain on one or both covered patios/decks in the large back yard w fire pit. Ready to move in! Views of Longs Peak to see gorgeous Colorado sunsets." "Popular Rare Ranch with a three car garage and full finished walkout basement! This spacious and open floor plan features four bedrooms plus a study! 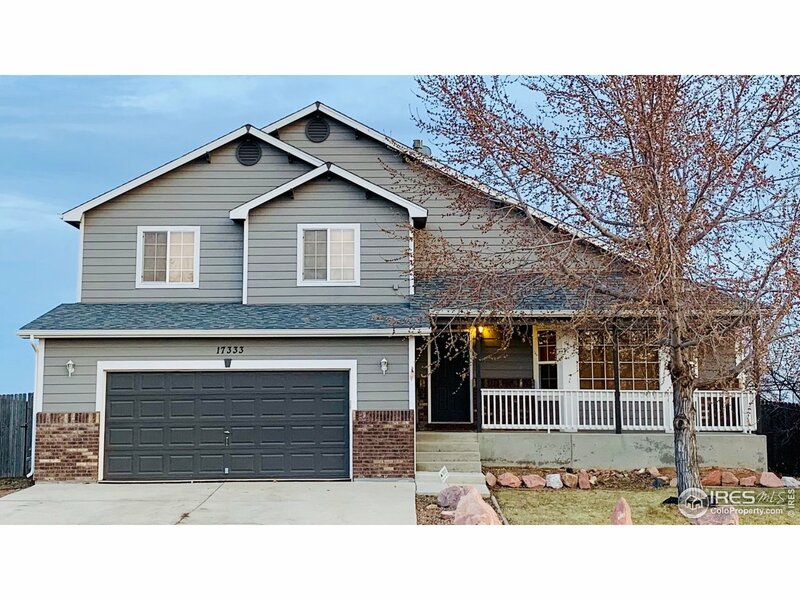 The home is complete with volume ceilings, eight foot doors, a gorgeous kitchen with upgraded cabinets, slab granite, stainless steel appliances with a gas range, extended hardwood engineered floors and so much more! T"
"This beautiful home offers hardwood flooring, 5 pc Master, Granite tops throughout, 42 uppers, stainless appliances all included, Ethernet port in every room, large master bedroom and 4 car garage. Large deck and patio for you to enjoy, very nicely landscaped w/privacy fence. Expandable 12v solar system for additional outdoor lighting, solar system for house with warranty. 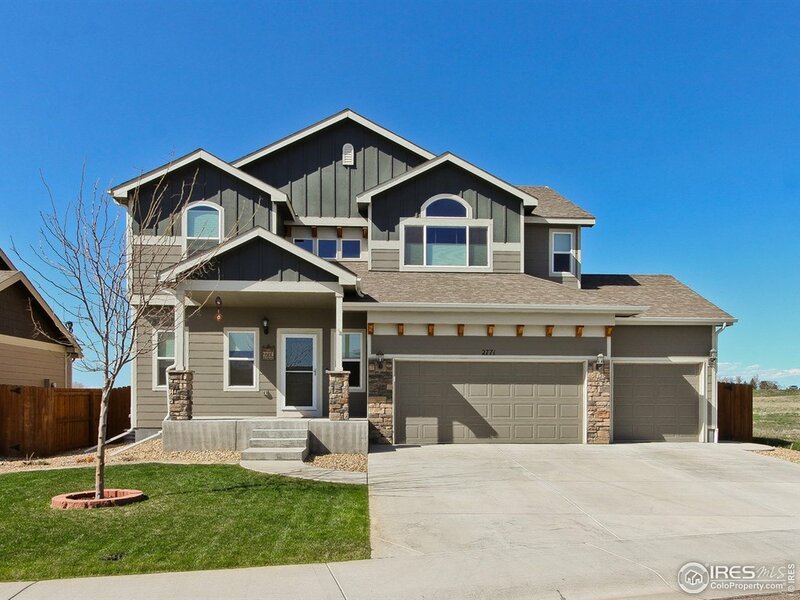 Close to I-25 and easy commute to Ft. Collins and Denver. Nice park located a 1/2 block away. Great friendly neighborhood." "From the charming front porch to the open floor plan and beautiful finishes, this home is stunning! Completed in 2018 with a main floor study/bedroom PLUS three bedrooms and a big loft upstairs, this home is an incredible value.Beautiful kitchen has a walk-in pantry and a huge island that's a perfect gathering spot. Note the FOUR car garage! Entertain on the spacious covered porch adjoining a gorgeous stamped concrete patio/ fire pit.Wonderful neighborhood with a trail and parks just steps away!" "Five lots in City of Mead. Nice possible location for a business in Mead. Located just east of downtown. Ranch home on the 5 lots. Build your dream home! Check with the City, this property could possibly be used for a business. Lots of beautiful trees for privacy on the property." "Beautifully maintained home in Coyote Run. 3 bed, 2 bath with loft area & study. Open floor plan, perfect for entertaining with fireplace in great room. Backyard & patio to watch sunrise with views of open area. Kitchen boasts hardwood flooring, Knotty Alder cabinets, kitchen island & Silestone counter tops. Gorgeous staircase & art nitches take you upstairs to Large master bed with 5 piece suite & lots of natural lighting. 3 car finished garage and full basement ready for your special designs." 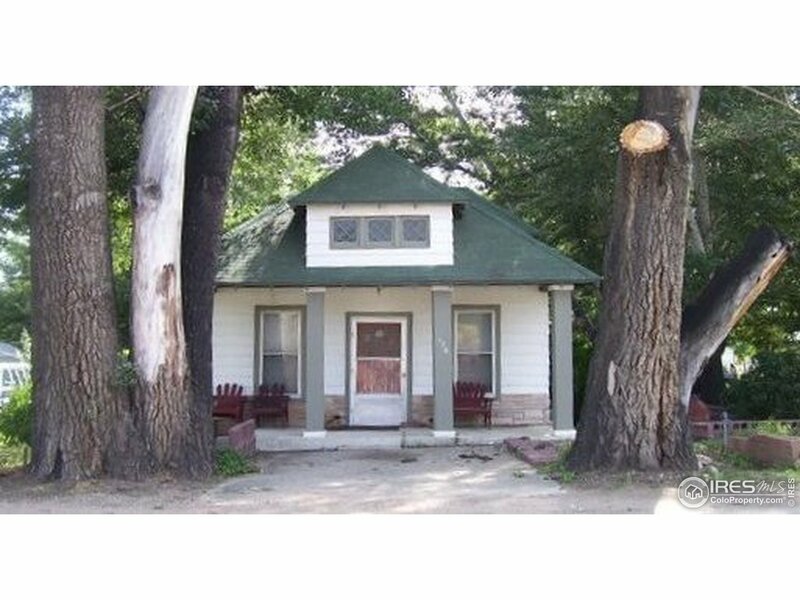 "Well maintained 3-bed, 3-bath home in great location. Walking distance to Mead Elementary and Mead Middle School. New roof installed in 2018; includes a lifetime warranty that is transferable to new owner. Home exterior was painted in 2018; includes a 5-year paint warranty. All furnace & air ducts were just cleaned. 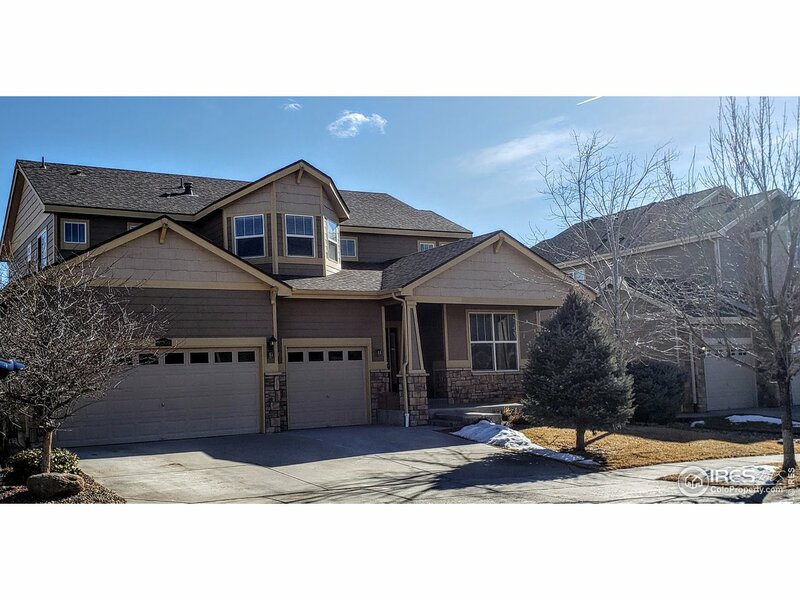 Gas fireplace, vaulted ceilings, 5-piece master bath, Central A/C"
"20 mins to downtown Longmont and 12 mins to I-25. 30 min commute to Denver, Boulder, Fort Collins. 3 bedroom 3 bath located in a nice quiet neighborhood. The location and views from this home are incredible! The neighborhood features open space and walking/bike trails. Upgrades including custom tile, paint inside and out and more. 4 levels including a full unfinished basement. Newer roof and central air conditioning and a spectacular game room area for darts, pool and cards featuring a wet bar!"